I never thought I would ever say this, but I need more food! In the last 10 weeks I lost 4 kilos without any extra effort. My weight has been stable for more than a year. How did I lose that weight? No more hotel dinners three times a week. That’s all it took. But with those kilos I also lost my power. Couldn’t lift my PR’s anymore at Crossfit. How annoying is that? You know you could lift it and now you can’t. It got me thinking. The hotel food is fat and the portions are ridiculous big! So I ate a lot and a lot of fat. I don’t mind losing the weight. But how can I keep the muscles and still lose the pounds or stay this weight? I Googled a lot about fat loss, muscles growth, macronitrients, supplements, what happens with your body when you’re weightlifting or running. I even got more confused than I already was. There’s so much to say about all of this. If someone really knows about this, please don’t hesitate to contact me. I’m not sure how to manage my macro’s doing weightlifting and endurance sport. Should I eat more carbs on run days? And more protein on Crossfit days? Sounds logical to me. I got me a container of protein powder (with a huge discount) with BCAA’s for post workout snack. I also got me some omega 3 pills. I remember eating a lot of fish during my hotel days and I actually never cook fish. For the soreness I maybe get me some magnesium pills. But I won’t take any other supplements. If anyone could give me some pointers on what to eat or not to eat on run, crossfit or rest days, that would be so great! Ps. 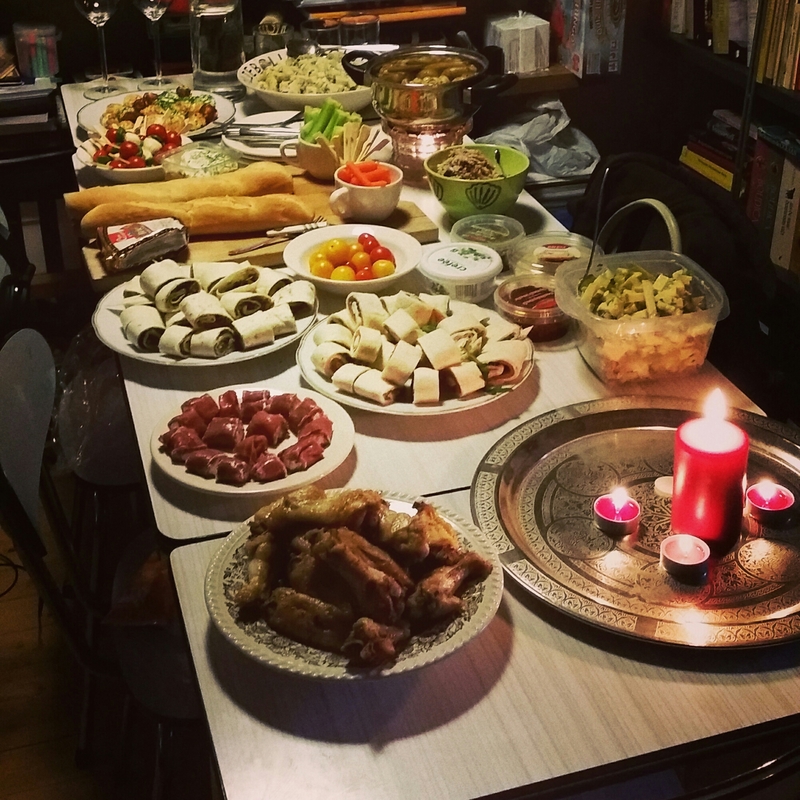 all the food on the photo was just for 3 people……..